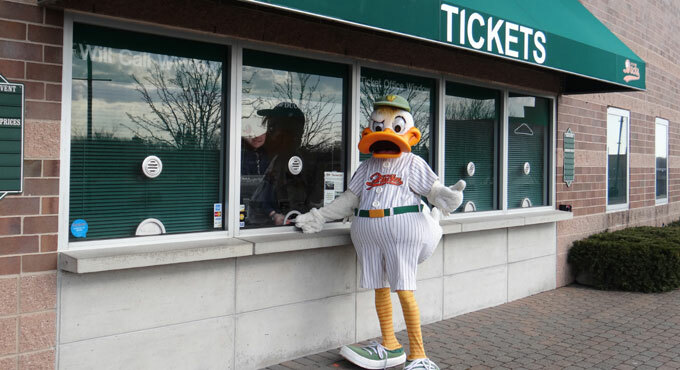 The Long Island Ducks will periodically announce “Unused Ticket Days” during the course of the baseball season. If you could not make it out to a ballgame earlier in the season and are still in possession of your unused tickets, the team will offer the chance to exchange them for tickets of equal or lesser value at the Bethpage Ballpark box office to select games, subject to availability. The exchanging of tickets must be done at the Bethpage Ballpark box office, and cannot be done over the phone or via the Internet. A one dollar fee per ticket will be applied to account for the Suffolk County surcharge on all tickets printed. For more information, please contact the ticket office at (631) 940-TIXX. Stay tuned to this page during the 2019 season for further information regarding Unused Ticket Days at Bethpage Ballpark!